Are you moving to a new city or another state? Would you like to know the secret to a successful and affordable long distance move? The first step to planning long distance relocation is to determine your most practical moving options and to choose the right one for you. 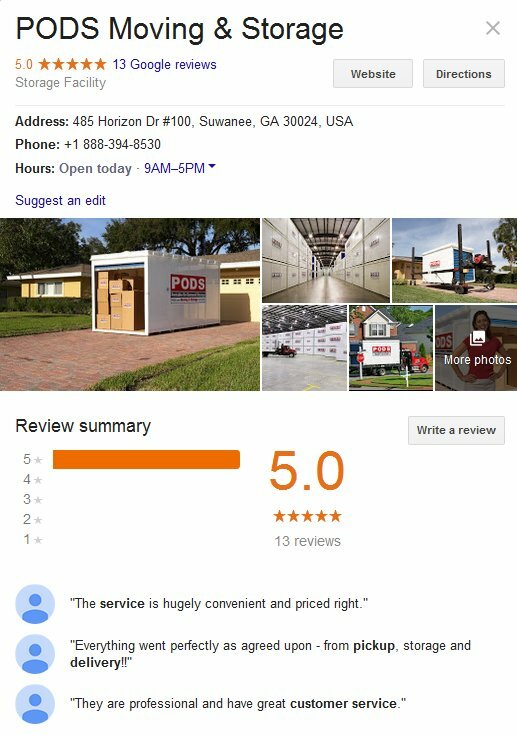 Is it renting a U-Haul, using a moving container, or hiring a professional mover? We have prepared a compilation of these options and how much they cost for you to compare. As a bonus, we have included in this guide about long distance moving in the USA and Canada a review of the best long distance movers and their services to help you find the right moving company for your move. By providing you with a comprehensive overview about long distance moving and options, we are confident you can make the best choice for your relocation. TYPES OF LONG DISTANCE MOVING – WHICH TYPE OF MOVE DO YOU NEED? According to the US Census Bureau, there are 17 million long distance moves annually, with more than a million bound outside US borders. In addition, millions of people also move within the same city or state every year. You choose the best moving option suited to your needs and budget. How do you know you are making a long distance move? Majority of movers classify a move beyond 150 miles as long distance, even if it is within the same state. This also means that moves that cross state borders or cross international borders are long distance moves. When your move crosses a state line or when you move to a different state, you are conducting an interstate move. You will require a long distance mover to get your goods across states. Interstate moves may also involve crossing international boundaries to move within the same state. The most frequently moved to states included Florida, Texas, Oregon, Colorado, North Carolina, and Washington. The Federal Motor Carrier Safety Administration monitors interstate moves. There are very specific rules for long distance moving such as having a US DOT number. Any long distance mover must meet federal regulations to ensure the safety of your move. Moves within the same state, if over 50-150 miles (depending on the mover) are also considered long distance. An intrastate move (within the state) will also be charged based on distance and weight of your cargo. Each carrier has different criteria for distance. For example, a move from Houston to Dallas, both in the state of Texas, is a long distance move. In contrast, a long distance move that crosses international boundaries, such as when moving from the US to Mexico, or moving from Toronto to Chicago, is considered a cross-border move. This type of move is more complex and challenging as you will be complying with customs requirements at the border. 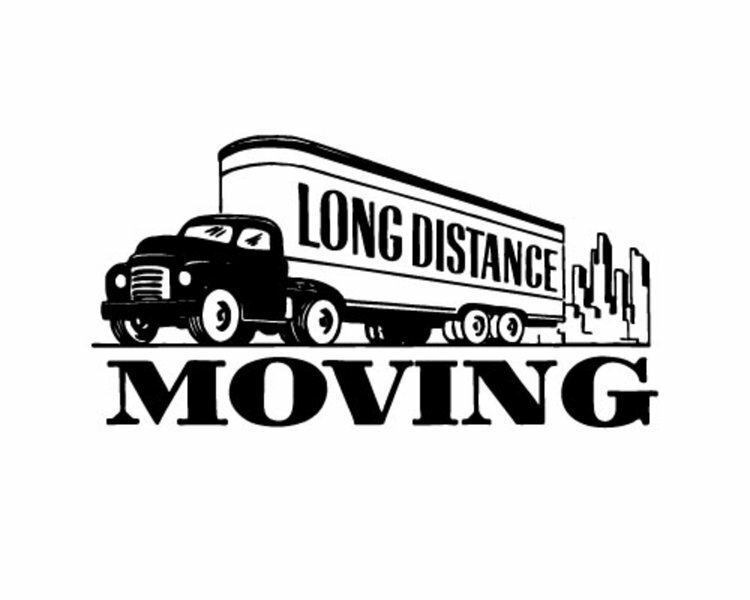 DO YOU NEED A LONG DISTANCE MOVING COMPANY? Long distance movers, interstate moving companies, and cross border moving companies help people move their household goods or belongings to far away destinations. They have the experience, skills, and qualifications to plan a move, deliver professional packing services, and transport household items; deal with customs regulations, and have adequate insurance cover in the event of loss or damage. So which type of move are you making – long distance, interstate/cross country, or cross border move? Depending on what type of move you are making, you will encounter common challenges along the way. Check below to see what you face and how you can handle these problems efficiently. Moving to another city or state is not easy. If not handled properly, you could run into problems that could easily become your worst nightmare. 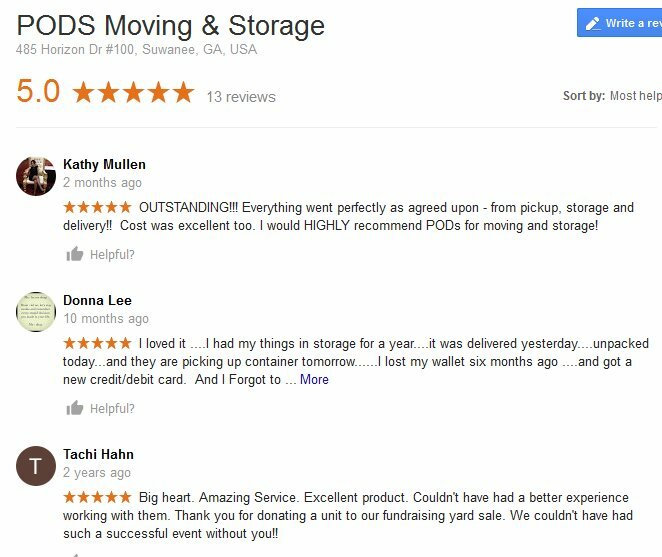 With thousands of people in the country moving every day, the moving industry has become more innovative and more resourceful in order to meet the growing demand and unique needs of individual customers. 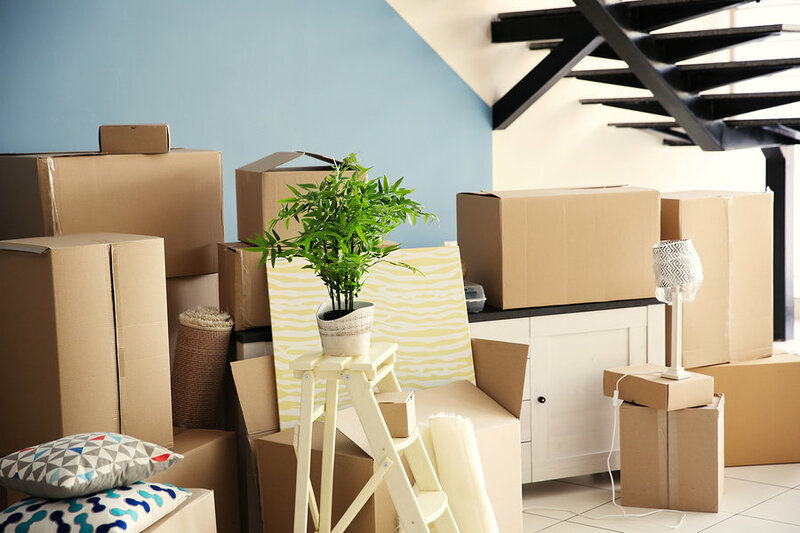 Let’s take a closer look at some of the most common moving challenges you can face before and during your long distance move. LONG DISTANCE MOVING WILL COST A LOT OF MONEY. Unless you are lucky enough to be moving with a company who will pay for your relocation cost, moving to another state is going to cost you. There’s no easier way to say it; a long distance move could cost you thousands of dollars, depending on where you are headed and how much of your stuff you are taking with you. Many individuals have tried to avoid paying high moving costs by just hiring a U-Haul truck or a cheap mover. Some have regretted the decision. As you are moving your lifelong possessions, valuables, and memories, it is important to ensure you choose a reliable and safe mover to do it for you. Check out more ways to reduce your moving cost and save money from your move. When moving to take on a new job or move into a new home, time is of the essence. There is also a possible rental lease to factor in. With time against you, it is a huge challenge to have everything packed and ready to go. If you are moving a 3 or 4 bedroom home, you’ll have a lot of belongings to get ready. The best way to ensure you prepare well for your relocation is to start planning your move as early as possible. You can refer to this checklist of things to do before your move from Canada Post as a guide. Most people feel overwhelmed with the amount of packing that needs to be done for a move. It is also not always easy to disassemble furniture, wrap them up for protection and load stuff to the moving vehicle. If you rent a truck, you’ll need to drive long distance and return the truck. It also starts all over again when you arrive at your new destination. The easiest solution would be to hire a professional mover. But for those with a limited budget, many companies also offer moving labor only at hourly rates to help with the heavy lifting. This option is available for people who rent a moving truck or a moving container, too. No matter how careful we try to be, accidents do happen. You can get injured from all the heavy lifting. Your expensive china can get broken during the long drive. Things can be dropped during loading and damaged. So many things can go wrong. Moving requires expertise in packing, loading and unloading, and driving long distance. If you don’t have any experience or skills with these things, your move can be very risky. A professional mover can take care of all these things and can provide professional packing services. But for people who prefer a cheaper option, you can do your own packing and use this guide to packing china and glassware to help you. If you need help with loading and unloading and transport of your goods, it is possible to hire just a moving truck with 2 movers or moving labor only, to reduce moving costs and reduce your moving stress. Making the choice from all possible moving options is not that easy and will have a dramatic effect on your overall moving experience. It is important to weigh options carefully. It is possible to have an easier and smooth move even on a limited budgeted by planning carefully. Knowing all your options and understanding what they mean will help you to make the right choice. In the next section, we have outlined the various moving options you can choose from – moving truck rentals, moving containers, and moving companies to help you decide. DIY moving for long distance moves is more difficult and takes a lot of work. To ensure you understand all that it entails and what you need to take care of, check out a comparison of using rental trucks vs. hiring movers to help you plan your move. PLANNING A LONG DISTANCE MOVE – MOVING CONTAINERS OR MOVING COMPANIES? When making an interstate or cross country move, people look for ways to move that would be the least stressful and suits their needs and budget. When considering your best moving option for an interstate or long distance move, you’ll want a method of transport that is cost-effective. Why pay more when you can save your hard-earned dollars for a move? The two most common moving options for long distance moving are hiring interstate moving companies or renting a moving container. Let’s take a look at the major features of both, the pros and cons, and the relative costs for each. There are several moving container companies offering long distance and interstate moving services. 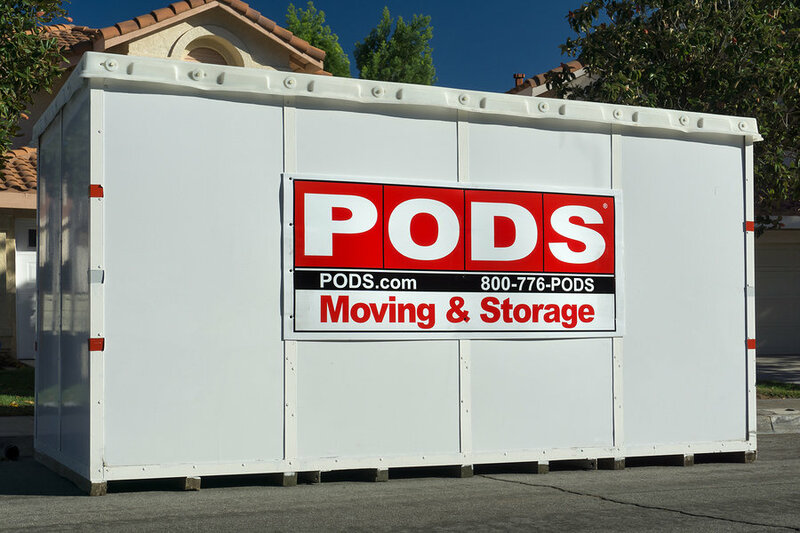 Some of the most popular companies are PODs, ABF U-Pack, U-Haul, and ReloCube. They are touted as being more affordable for individuals with a DIY approach. What are the benefits of moving containers for long distance moving? ✓ This option allows you to do your packing at your leisure, without deadlines and no time pressure. ✓ The moving container is delivered to your doorstep, parked in your front yard. ✓ When you’ve done with your packing and ready to have your goods delivered, the company will take care of pick-up and driving to your new destination. ✓ The moving containers come in different sizes to accommodate your household goods. For larger homes, you have the option to rent more than one container. Moving containers give flexibility as you can choose how long you want to keep the container while you pack. ✓ These moving containers are secure because you are provided with a lock, giving you total control and access. Moving container companies have different time frames when it comes to delivery, from 3-5 days to as long as 2 weeks. Charges are also computed based on the size of your inventory along with factors such as distance of travel and insurance. Definitely, moving containers require less work compared to renting moving trucks. Moving container costs are generally computed based on linear feet, meaning the space you actually use. With some companies, if you use up less space, your cost is adjusted accordingly. You can also reserve as many as you need. See how U-Pack works to determine if moving containers are your best option from the video below. Whether you are making an intrastate, a cross country move, or a cross-border move, you can rely on long distance movers to make it less stressful. You can obtain a full-service move and get access to all these services that you need. You can also choose only specific services like partial packing, or moving truck and movers. ✓ Miscellaneous costs like fuel, tolls, etc. Moving companies can work with you to design a moving plan that is cost-effective and suits your needs and your budget. 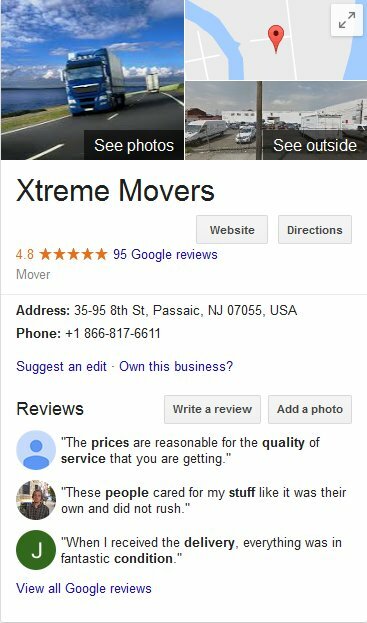 HOW MUCH DO MOVERS IN USA CHARGE FOR LONG DISTANCE MOVING? For any type of long distance move, moving companies will generally provide a flat rate that would already include everything you need, including moving truck and movers. According to the American Moving and Storage Association, an interstate move generally costs around $5,630 but other moving companies put the figures much higher at about $12,000. Binding estimate – this means this will be your final moving cost unless some circumstances change such as moving date, number of trucks, etc. With this type of estimate, the final weight on moving day becomes irrelevant. Movers will usually avoid this type of estimate because the risk is bigger for the mover as the customer could add a lot of extra items on moving day. Binding not to exceed quotes – this is the most favorable quote for consumers. It means your final moving bill will not exceed the quoted amount. Even if the actual weight of your goods exceeds the earlier estimate, you will not pay more than the quote. If your cargo weighs less, than you will pay less than the original estimate based on the agreed upon price per pound. Most movers would provide this type of estimate after inventory of your items. Non-binding estimates – An example of a non-binding estimate is one that is provided over the phone or online. A mover will provide the customer with a fair quote based on information provided by the customer (moving day, origin and destination, size of the move, moving services required). The goal is to give the customer a fair estimate of the cost which could change after a physical assessment. The final bill could be higher or lower, depending on the weight of your goods. Request for an actual, physical inventory of your goods and obtain a written and binding estimate to avoid inflated moving expenses. Can you lower your moving cost? There are ways, of course, to bring down your moving costs. You can be flexible with your moving date (move during off-peak periods) and bring down the size of your inventory by disposing of junk and things you no longer need. Find out more tips on how to save on your moving costs. The best way to compare moving companies and their moving rates is request for multiple moving quotes from professional movers. You can obtain no obligation, free moving quotes from our network of licensed movers when you fill-out our online request form with your moving details. 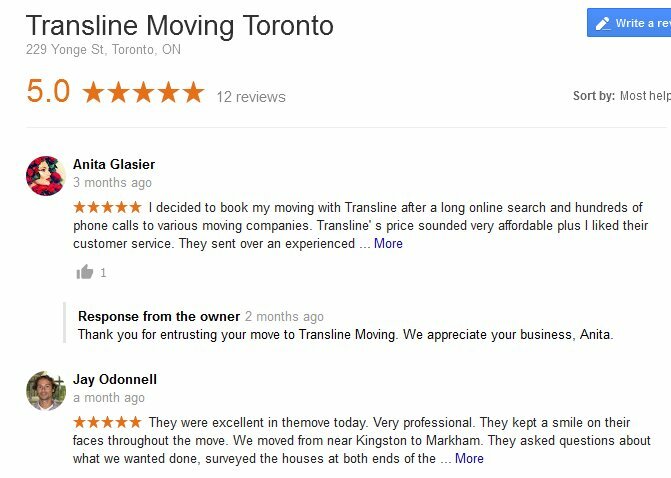 There are many moving companies that conduct all types of long distance moves in Canada, the US, and other parts of the world. How can you spot the best movers from the pack? To deliver household or commercial goods in the USA, long distance movers need a federal identification number, also called a US DOT Transportation number. It is so important that 28 states make it imperative for all moving companies, whether local or long distance movers, to have one. This allows the government agencies concerned to track and enforce regulations, review compliance, conduct inspects, and audits. You can check if your potential moving company has a US DOT number with a quick check from the Federal Motor Carrier Safety Administration (FMCSA). 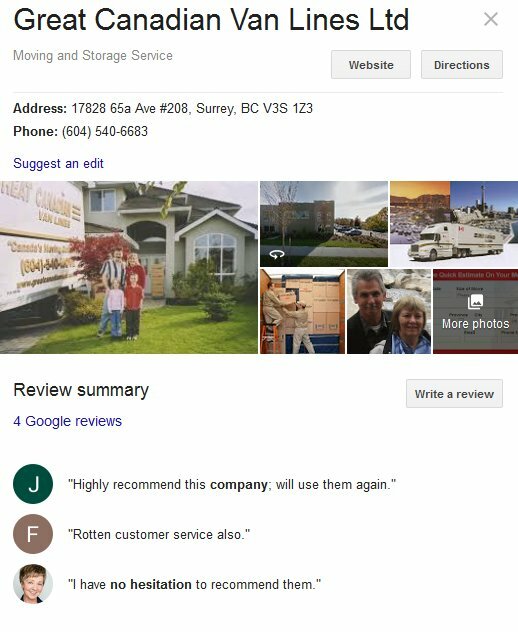 The Better Business Bureau assigns ratings to businesses, from A+ to F. You can actually verify if there are outstanding customer complaints against the moving company and their history of resolution. 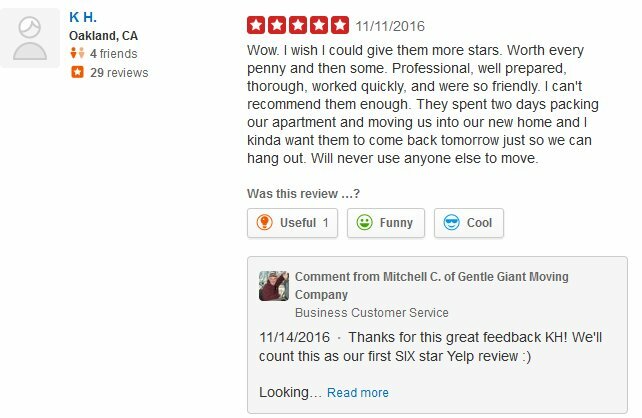 Customer moving reviews are also a good indicator of a mover’s performance from sites like Yelp and HomeStars. 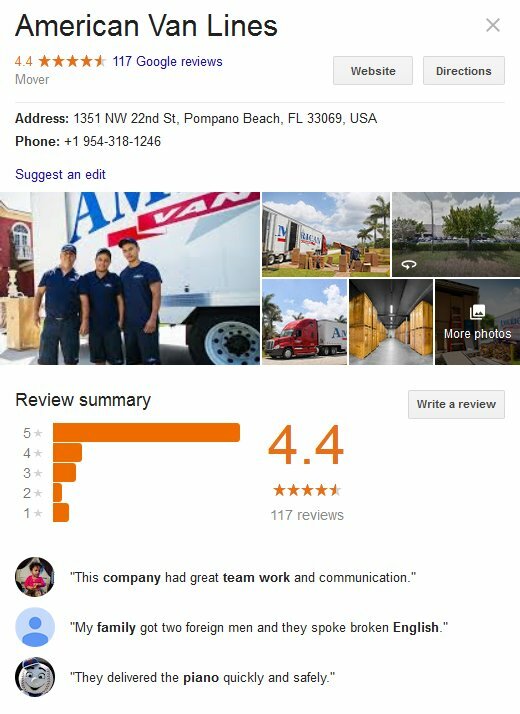 Reputable moving companies are members of prestigious professional organizations such as the American Moving and Storage Association (AMSA) and the International Association of Movers (IAM). Moving companies are required by law to provide customers with a copy of a brochure on Rights and Responsibilities When you Move explaining how moves should be conducted. 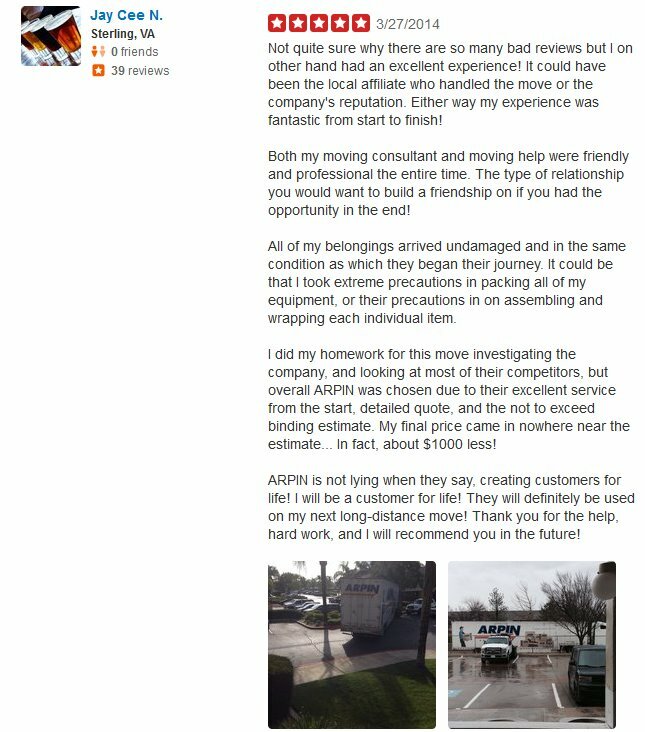 Professional moving companies are not all the same. By understanding the type of moving company you choose, you can have realistic expectations and avoid misunderstandings and inconveniences related to your relocation. Van Lines are established moving companies, some of them the oldest in the moving industry. They also have the largest network and resources. A typical van line move has a complex logistic system that is multi-layered, with services outsourced to one or numerous agents. Van lines partner with many independent moving companies across the country. 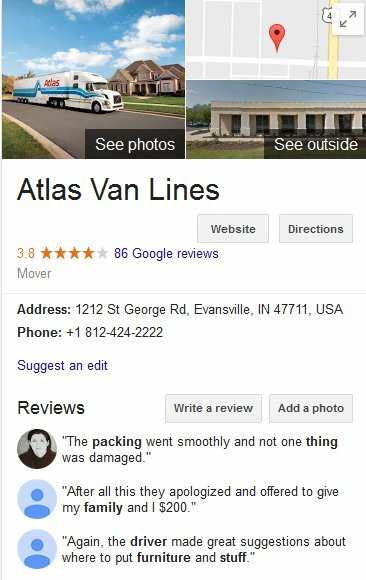 When you work with large van lines like Allied Van Lines, United Van Lines, Atlas Van Lines or Mayflower, you will be dealing with the company who may then assign your move to one or several of their moving agents. There are several moving companies who operate under a franchise system. 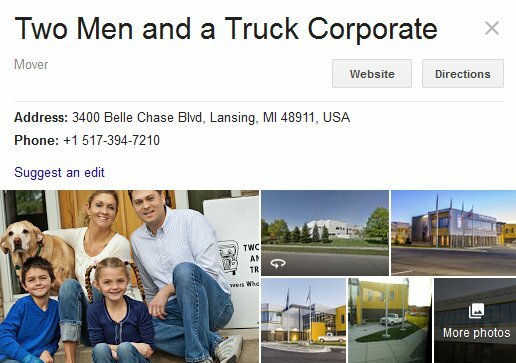 Some of these companies include Two Men and a Truck, You Move Me, and North Star Moving Company. These moving companies have a vast network of locations across the country, each location is independently owned and operated but carrying the company’s brand and operating with the same system. 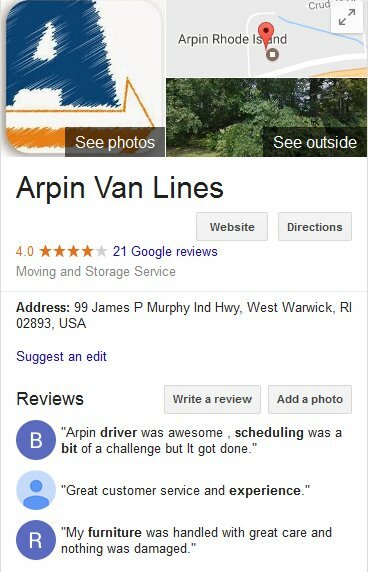 Just like a van line, the local franchise could be different in terms of customer care and service. They do, however, offer the same services and use the same pricing model. A big advantage in working with franchise-based moving companies is their vast network. 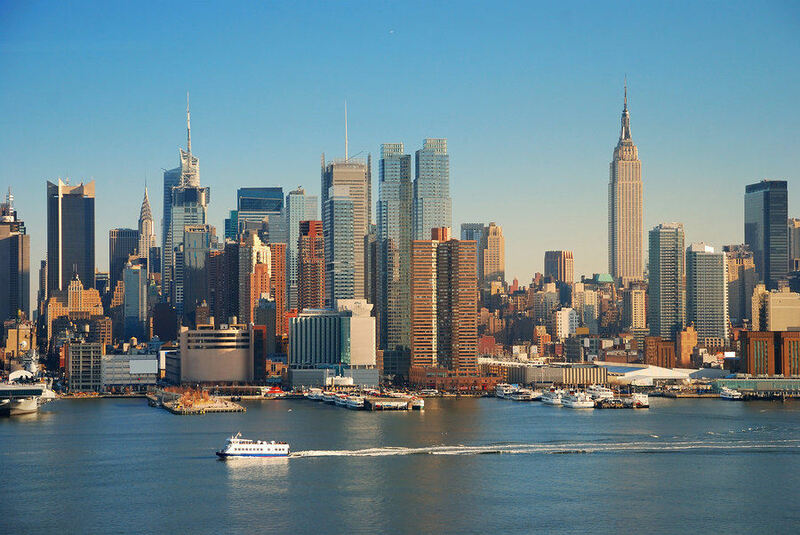 If you are moving from, let’s say, Seattle to New York, you can be sure that the company can undertake your cross country move. You can also be assured of the integrity of the local mover since they are also accountable to the mother company. There are also many full-service and independent moving companies operating in the US. Many of these are family-owned but not affiliated with any van line or franchiser. Being full-service moving companies, they also have the skills and resources to undertake a cross-country or interstate move. Every state would have well-known and reputable full service movers that can be relied upon to deliver efficient moving services. They offer the same services as bigger van lines but you will be dealing with one company from start to finish. The best way to know which type of mover you prefer, or which is more affordable, is to compare actual moving estimates. Ask the moving company about transit time, insurance, inclusive services, and if there are other add-on charges. Cross border moving can be very time consuming and stressful. If you don’t have the proper documents for your cross border move, you could be in for a really difficult time. An example of a cross border move is moving from US to Canada or vice versa, or moving from the US to Mexico. Professional moving companies specializing in cross border moving are experienced in handling customs requirements. In fact, you won’t need to be present at the border when your goods cross over. Your moving company will take care of everything for you and ensure your goods are delivered without unnecessary delays. • All boxes and cartons must be properly labeled with a list of its contents and number written on the outside of the box. • Accomplished 3299 form of the person relocating which is provided to the moving company before loading of household goods. Documents must be in order when household goods clear customs to avoid paying held in bond fees charged to the customer. ✓ Your household goods and items can enter the US duty-free if they have been in your possession for at least a year. Before you purchase any expensive items before your move to the US, compare cost of buying the same in the US. ✓ Some items such as photography equipment, consumable items, and vehicles may be taxable. ✓ Pets must be over 3 months old and must have proof of rabies vaccination and a certificate of health issued by a licensed veterinarian. ✓ Moving companies are forbidden from transporting alcohol with household goods. You can have them shipped via air. Liquor and wine collections are subject to state taxes, with rates varying from state to state. ✓ Motorized vehicles that are less than 25 years need to meet safety and environmental standards to be allowed entry into the US. A letter of compliance must be issued by the actual manufacturer (not the dealer) certifying that the vehicle meets standards of the FMVSS unless it is a US registered vehicle. In addition, A HS7 form is required even for returning US registered vehicles. ✓ Returning residents who have purchased a vehicle in Canada that was manufactured outside the NAFTA zone will have to pay duties. Unless you are a US resident returning to live in the US, you must enter the country before your shipment arrives at the border. Individuals entering on a study or work visa must have completed the immigration process before transporting their goods. Cross border moving specialists can help prepare the documentation you need for clearing household goods at Customs. 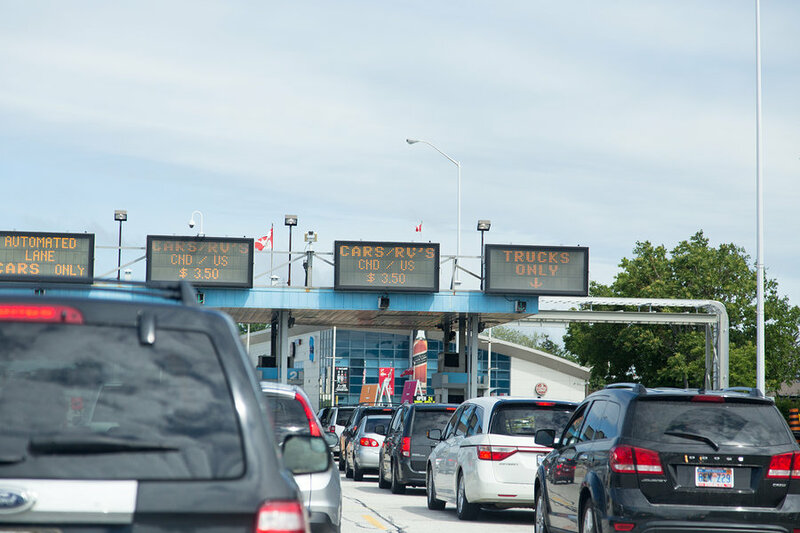 You don’t need to be around when your goods cross the border unless a problem arises and your shipment is placed on hold at the nearest customs office. You will then be required to appear personally and to pay fines, if any. To avoid problems at the border for bringing in your household goods to the US, the best step is to choose an experienced and dependable moving company specializing in cross border moves. Every year, Americans flock to places with more jobs, cheaper housing, warmer weather, and good schools. The Federal Motor Carrier Safety Administration (FMCSA) has a consumer hotline (1-888-DOT-SAFT) for complaints against household goods carriers or moving companies. It was put in place for individuals making interstate movers who believe they have been treated unfairly or illegally. Below are moving tips and checklists per state for most popular moving destinations based on statistics from 128,000 moves across the country by The National Movers Study. **Missouri moving companies are granted an exception to perform moves in Kansas State. 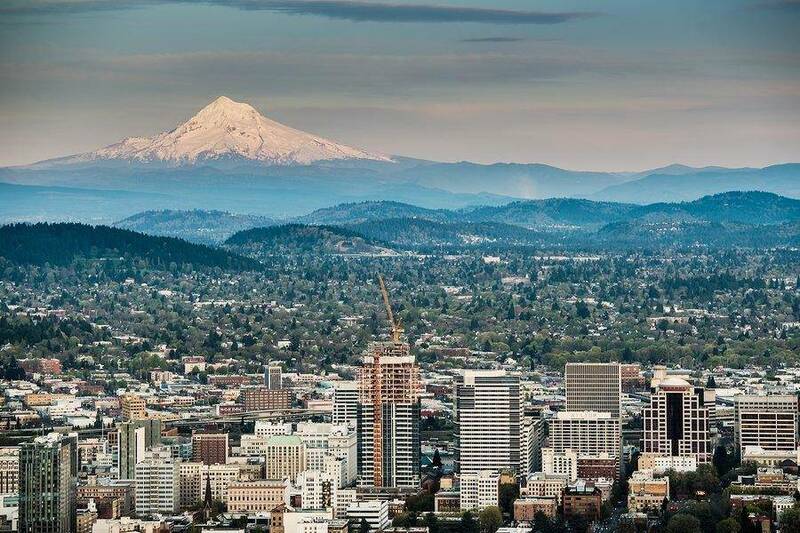 Oregon ranked in 3 consecutive years as #1 moving destination. Below is relevant information you’ll need to know for moving to Oregon. Moving household goods within the state is a regulated service. If the point of origin and destination are within Oregon, the rates of movers and their services are monitored by the Motor Carrier Transportation Division of the Oregon Department of Transportation. You should pick a mover that is qualified with the ODOT/MCTD. You can check on your potential mover from this list of Oregon authorized moving companies. You’ll need to obtain an Oregon driver’s license/ID card when you move to the state. You can apply in person with the local DMV office. As a new resident, you’ll also need to register your vehicle. You are given 30 days to register from the time you establish your residence. Oregon requires that titling of the vehicle be done at the same time as registration so make sure to bring proof of ownership. Whether you buy a vehicle in Oregon or have an out-of-state vehicle, you will be required to visit the DMV in person. The state of Oregon cannot complete your vehicle registration if it has a lien. It will require an actual title from your lender. You will need to send the lien holder a Security Interest Holder Letter. If your old registration expires before your new registration, you can get a 21-day trip permit to be able to drive. As with any move, you should update your address online or directly with the post office. This will ensure you continue to receive your mail after your move. One of the best advantages of moving to Oregon is no state sales tax. While its income taxes are high, you can at least save some money from your purchases. Movers are mandated to publish and file with the ASPC their moving rates, fares, and charges for transportation and all other services related to moving household goods. 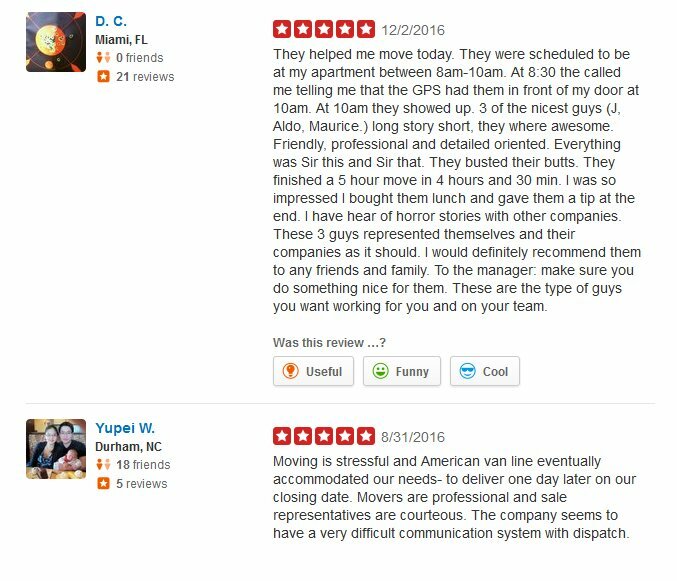 These include hourly rates for moves not more than 30 miles and charges based on weight for moves beyond 30 miles. No common carrier by motor vehicle is allowed to collect or demand money that is greater or has different compensation than what is enumerated in these charges. These include applying for a state issued driver’s license, vehicle registration, and voter’s registration. Motor vehicles are registered with the license plate issuing office of the county where you will relocate to. Motor vehicles requiring a certificate of title must have an Alabama certificate of title issued by a designated agent of the Alabama Department of Revenue. The law requires all drivers in the state to have auto insurance for registered vehicles. Members of the military stationed in Alabama with valid out of state registration can choose to title and register their vehicle with Alabama or maintain their out of state registration. In Colorado, household moving is regulated by the Public Utilities Commission. The move can be executed with hourly, flat rate, or by weight and distance in accordance with the company’s policies. However, an estimate must be provided to the customer before the move with detailed fees and pricing. The mover must have workers’ compensation insurance and proper licensing on vehicles and equipment. Colorado has a flat sales tax but cities and counties can add their own sales tax on top of the state rate. 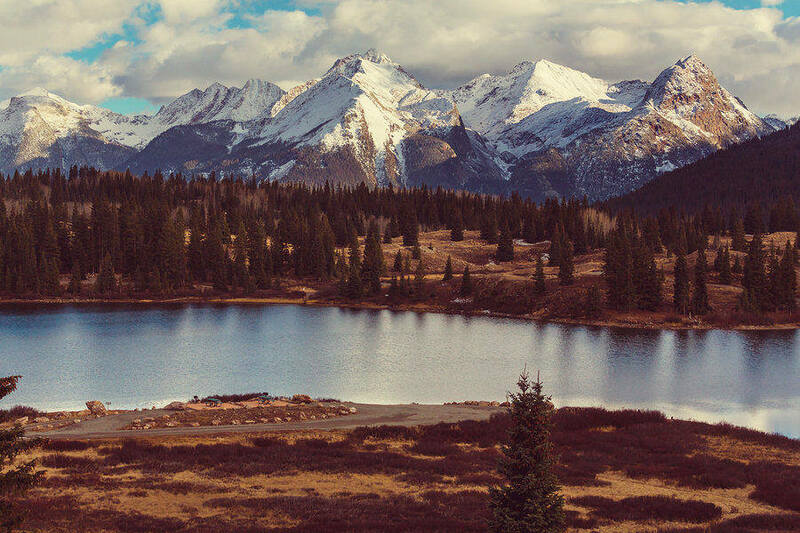 You can research taxes in Colorado before moving to choose the most affordable place to live. Recreational marijuana use is legal in this state but there are still rules. There are also restrictions where you can buy and where you can smoke. When moving to Colorado, you will not need moving permits or worry about parking restrictions. You can transfer your valid, out of state driver license. You need to provide identity requirements. The state of Colorado has reciprocal agreements with Germany, France, Canada, Taiwan, and South Korea. Licenses from these countries mean waiver of testing requirements. Licensees from other countries need to pass the drive skills test and written exam to apply for a license. As of 2015, the state requires 2 documents proving Colorado residency for applications with registration expired for more than 1 year. Documents must be issued within one year. 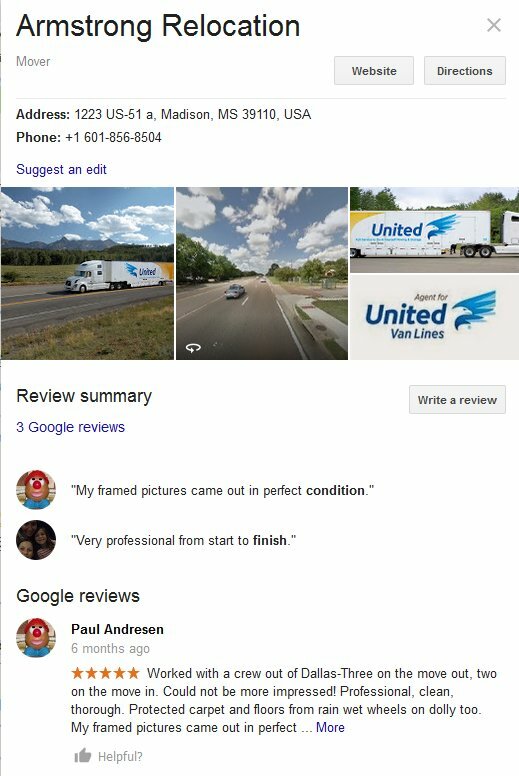 For professional moving services, you can estimate your moving costs to Colorado with 5 free moving quotes from the best long distance movers near you. 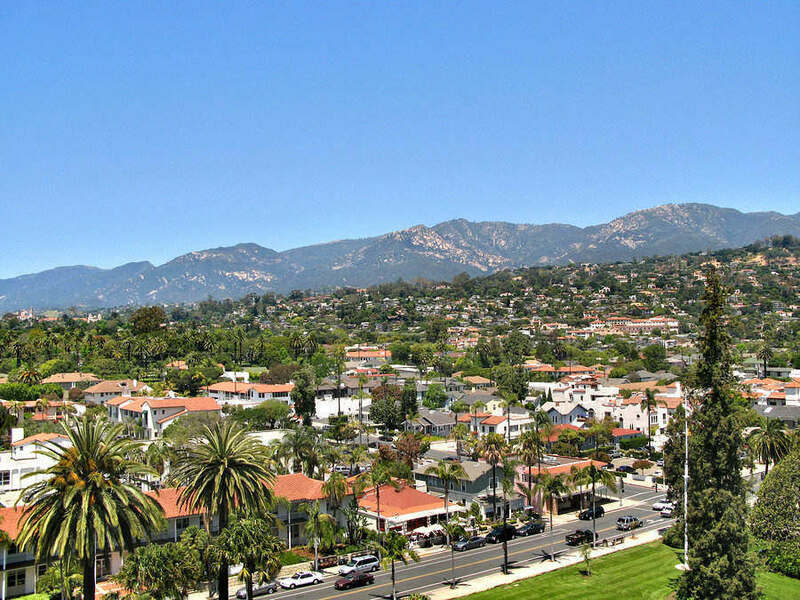 Moving to California is a dream for many individuals. You can make this a reality with sufficient planning and preparation. Moving van permits are not necessary but it would be smart to obtain a temporary “no parking” zone where your movers will park and unload. Requirements may change in cities throughout the state. Contact police department or city offices for information about availability and fees. ✓ You should accomplish a change of address with USPS at least 1 week before your move as there may be a 7-10 day timeline for completing paperwork. ✓ You can also visit the Department of Motor Vehicles to renew your vehicle registration or driver’s license. ✓ If you have kids in school, you would be glad to know that California has an open enrollment policy which means you can register your child at any school within your district. ✓ It also helps to know Spanish as California is multi-lingual. You’ll be in a better position to expand your social network and blend in to your new community. Check out our moving to California guide and free moving quotes. New residents of Texas have to obtain a Texas Driver’s License and register their vehicles with the DPS. This will require a trip to the DPS office where you must submit documents and pay for fees. You have 90 days after establishing residency in Texas to transfer an out of state driver’s license. You don’t want to arrive in a dark house or to have no hot water after a long drive. A week before your move, you can set up utilities and electricity in Texas. If you decide to hire a mover within Texas, know that all movers of household goods are required to have a certificate of motor registration and proof of insurance on file with the Department of Transportation Texas. Your moving company must provide a written quote which is either a binding proposal or a not to exceed quote stating the maximum cost of the move. It must also indicate the form of payment acceptable to the mover – personal check, credit card, or cash. You can check on your potential moving company with the Texas DMV as a licensed Texas mover will have a certificate number on file. 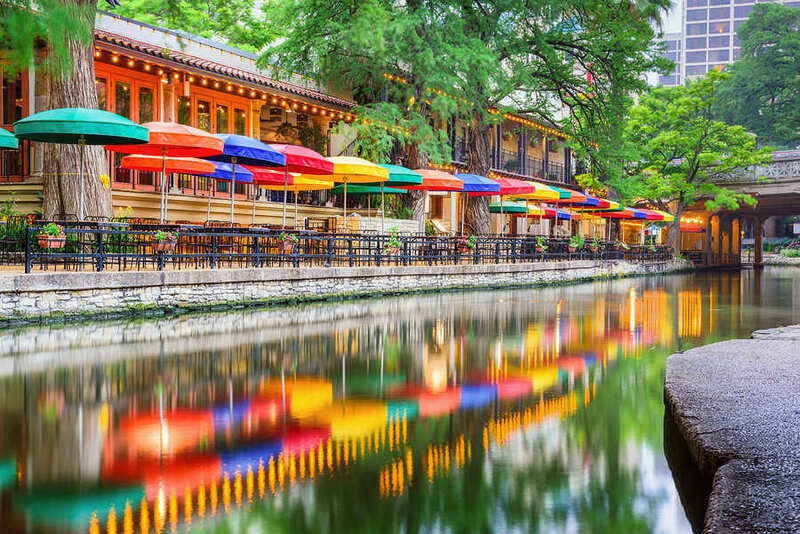 To find the best movers for relocating to Texas, look up our moving to Austin guide and request for free moving quotes. Any individual who desires to establish residency in Florida, by Florida law, needs to file in the Office of the Clerk of the Circuit Court for the county of residence a sworn statement stating that he or she maintains a residence there and plans to make it a permanent home. One of the best advantages of living in Florida is the fact that it does not have a state income tax. However, there is tangible tax, sales tax, and intangible property tax. You can find out all you need to know about taxes in Florida. Florida state laws require that an individual update address information on driver’s license within 10 days of residency. You can apply for address change online. The Department of Agriculture -Division of Consumer Services (FDACS) is in charge of regulating movers of household goods in the state. Moving companies need to be licensed and insured. ✓ Late May to August is a busy period for moving companies. You can get better moving rates if you move in the spring or fall. Weekend rates tend to be high, for either truck rental or moving services. ✓ Movers are required to provide a written estimate and contract that states the moving company’s address and contact information, state registration number, date of contract and date of the move, and an itemized list of charges for all services provided, and acceptable modes of payment. ✓ Movers are also required to have basic liability and insurance cover. They should also have cargo legal liability in case of damage or loss of household goods that is not less than $10,000 for every incident. ✓ If your moving company does your packing, you will be charged for the labor to pack and unpack goods as well as the containers and packing materials used. If something goes wrong with your move, you should file a claim with your mover in writing. If your complaint is not handled satisfactorily, you may file a complaint with FDACS online. You can also phone 1-800-HELP-FLA (435-7352). 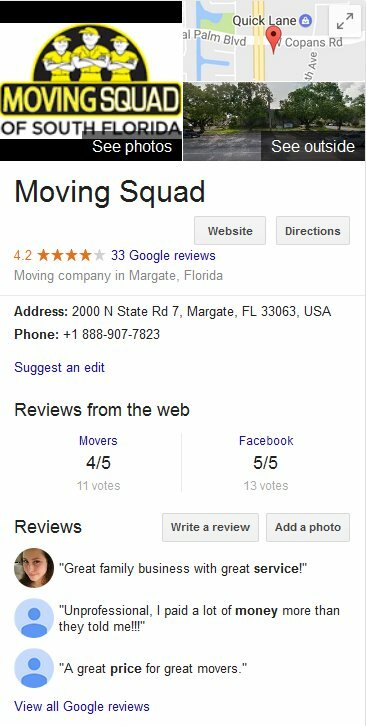 You’ll also find very useful some moving tips and reviews of Florida moving companies for planning your relocation. The State of Washington, or Evergreen State, has tech-savvy residents. Over 60% of the population is based in the Seattle metropolitan area while others move to the Spokane area. 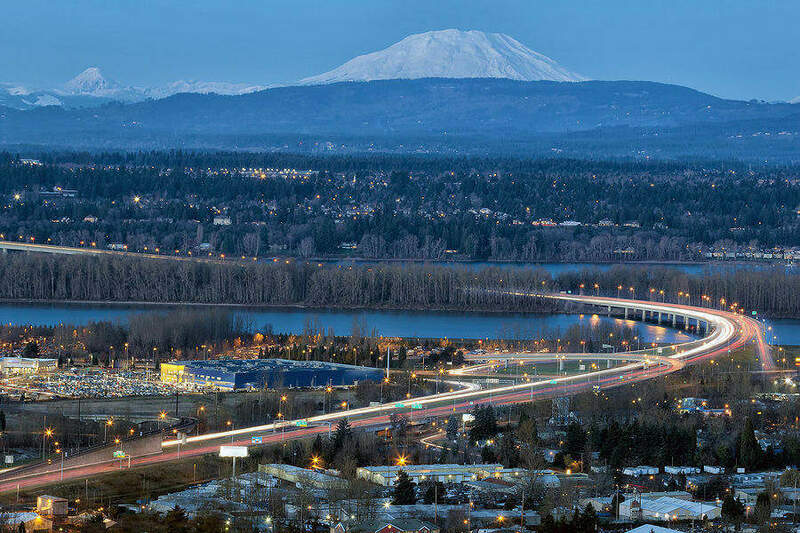 Don’t overlook its other great towns and cities like Tacoma, Wenatchee, and Olympia, among others. Firstly, change your address online or at the post office. This ensures your mail gets forwarded to your new home. If you have children in school, you will want to find the best schools. You can look up the Washington Public School Districts to make it easier to choose the right education for your kids. You will need to transfer your out of state license within 30 days of your move. Find information for renewal of license in the state. ✓ Moving companies are regulated by the Washington Utilities and Transportation Commission. In the state, a move that is less than 55 miles is charged on an hourly basis while moves beyond 55 miles are priced based on distance and weight. ✓ The state of Washington has landlord and tenant law but they are self-enforced. It is therefore important for you to know your rights if you plan to rent your domicile. If a landlord obtains a security deposit before your move-in, you must be given a receipt and a written statement stating the conditions wherein the deposit is refundable. Per RCW 59.18.260, a written checklist outlining the condition and state of cleanliness of the unit must be given at the start of residency of the tenant. If a checklist is not provided to the tenant, the landlord is liable for the amount of the deposit at the end of the lease. If moving to Washington State, check out our moving to Seattle guide and the best long distance movers to help with planning your relocation. 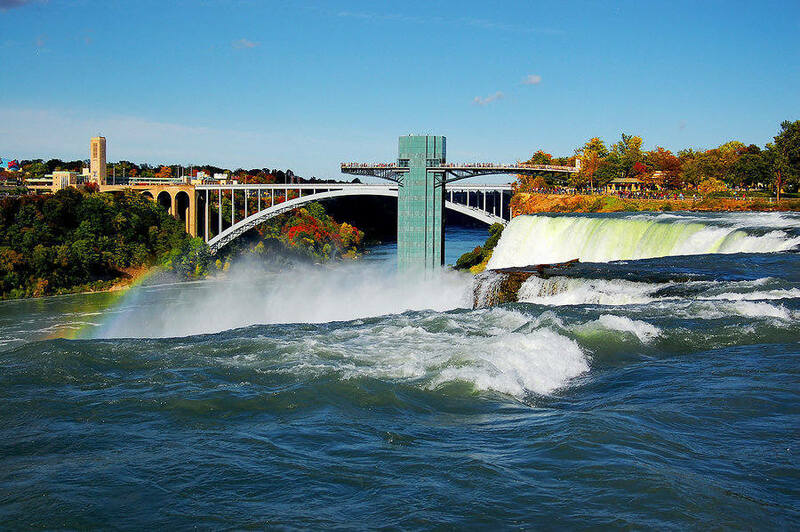 The State of New York is highly diverse and energetic with a mix of smaller towns that are flat in some and mountainous in others. You’ll have a lot to know and consider for relocating here. New York does not issue moving permits but parking is difficult. You should arrange with your building manager prior to your move if it is in the city. Know where your moving truck can park. In New York City, there are special restrictions for commercial moving trucks. ✓ If you’re moving to New York, you’ll need to update your address. You can file your change your address with the USPS online to ensure receiving mail in your new home. You can then change your address on your New York driver’s license as you can be fined if pulled-over for a traffic incident and your address on credentials don’t match. ✓ If you have changed address, the state requires that you report it within 10 days for your driver’s license and motor vehicle registration. The process can be completed online, by mail, or at a DMV office. ✓ You should check if a moving company is authorized by the State Department of Transportation (NYDOT) for moves within the state or by the Federal Motor Carrier Safety Administration for moves from another state to New York. Although unlicensed movers offer much lower rates, they don’t meet insurance, safety, and financial standards that put you at risk. ✓ Movers are required to provide a bill of lading which is a formal contract. Never sign one without reading carefully and understanding whether the cost is based on hourly rates, the weight of goods, or if it is a fixed amount written in a binding estimate. Don’t sign forms with blank sections that will be filled-in by the mover at a later time. ✓ In most areas in New York, garbage collection and recyclables come with your taxes unless you live in a coop-complex, a condo, or apartment. You could be fined for placing trash out too early or in the wrong bins. To get additional information about movers or to file a complaint, you may call the New York State Department of Transportation at (800) 786-5368 or the Better Business Bureau in New York at (800) 828-5000. Get your free moving quotes for long distance relocation to New York with reviews of popular moving companies. According to United Van Lines, one of America’s biggest moving companies, South Carolina was one the most popular moving destinations in 2015. If you plan to move with a professional mover, the most important thing is to ensure that you work with a licensed long distance mover. The South Carolina Public Service Commission regulates intrastate moves. States to state moves are charged by weight and volume of the load and distance. The moving company weighs the shipment on moving day minus the weight of the van on a certified scale. The net weight will be used to compute your total moving charges. 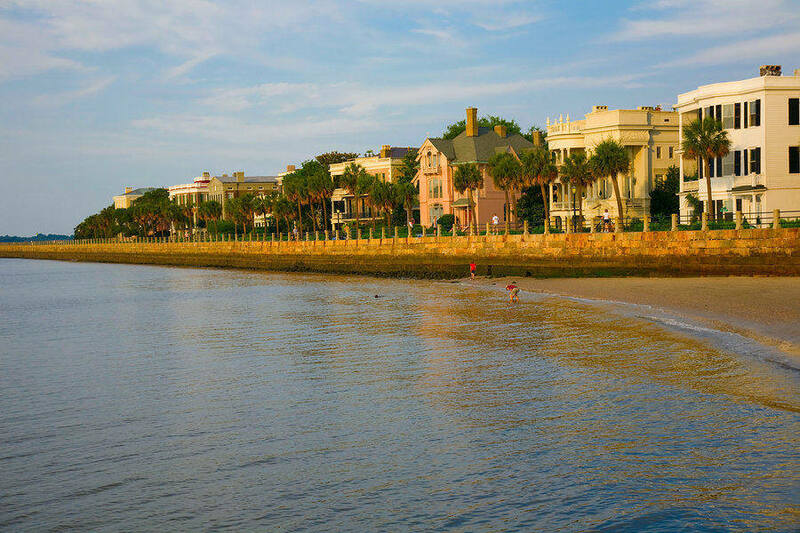 What should you remember when moving to South Carolina? It is a good idea to dispose of household goods and other items that you don’t need and can be disposed of. Moving companies offer packing services but you can also save money from your moving cost by doing some of the packing. Just remember that movers don’t accept liability for broken items that they didn’t pack. Moving companies don’t usually provide insurance cover for the full value of your goods. Unless you request otherwise, movers are legally bound to provide basic cover – which comes at $.60 per pound, regardless of the nature and value of your items. You can find reliable and affordable movers in Charleston and other cities in South Carolina with free moving estimates. 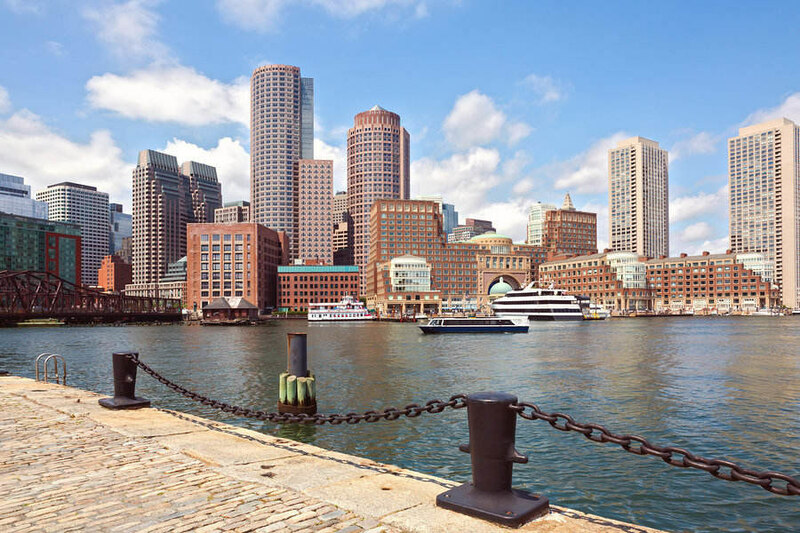 The Commonwealth of Massachusetts is a very welcoming and popular moving destination. To have a smooth move to the Bay State, following are some useful information to ease the transition. One of the most important things you’ll do before your move is to find an apartment or home to rent. The Office of Consumer Affairs and Business Regulation recommends to newcomers to be aware of their Rights and Responsibilities as a Tenant. This should help you avoid discrimination and other unlawful practices. An in-state mover must be licensed with the Massachusetts Department of Public Utilities. For moves from other states, moving companies are regulated by the Federal Motor Carrier Safety Administration (FMCSA) and has recommended measures to protect your move from fraudulent movers. ✓ There may be areas where there are parking restrictions, especially in the Boston metro area. Find out where you can unload your moving truck and obtain a moving permit. ✓ Dog licenses are required by the state so be aware of regulations if you are moving with pets. Update your pet’s vaccines as dogs, ferrets, and cats are required to be vaccinated against rabies. You can also obtain identification tags for your pet from your local veterinarian. ✓ New residents are also required to obtain a Massachusetts driver’s license as soon as you establish residency. There is no grace period; transfer a foreign or out-of-state driver’s license after your move. ✓ You’ll need proof of residency sooner or later so you should also update your voter registration. ✓ Residents who are 18 years and older are also required to have health coverage. Newcomers who don’t have cover from employment or education must find health care cover. Moving to Boston? 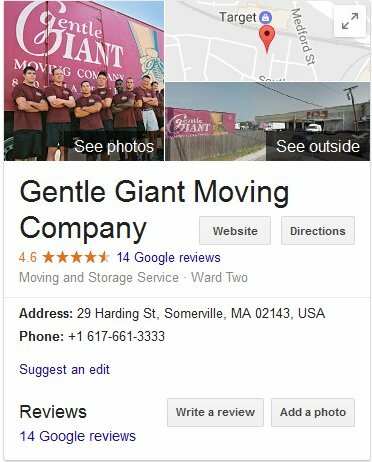 You can find many useful tips for relocating to Boston and moving company reviews for your relocation. 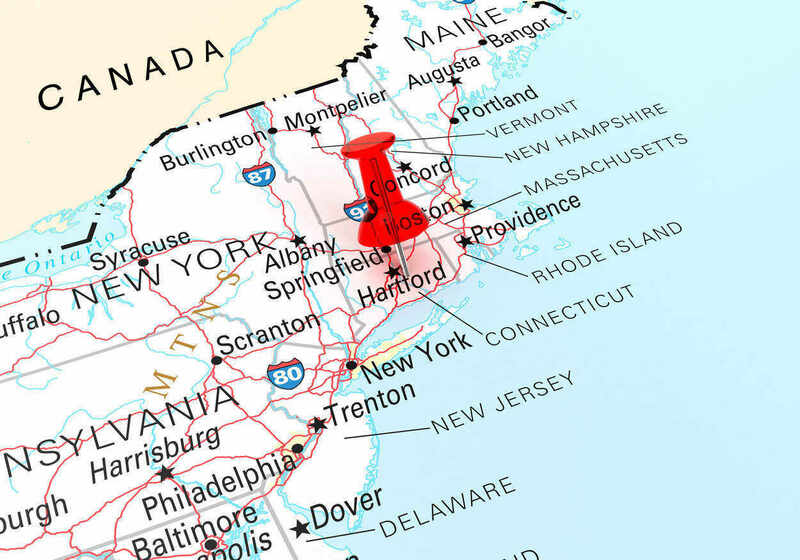 The Connecticut Department of Transportation regulates household goods moving in the state and sets forth tariffs outlining charges and services of movers. Similar to most states, interstate moves are under the supervision of the US DOT-FMCSA. Most parts of the state are rural or suburban and parking won’t be a problem. In cities, however, they may have permit laws for parking such as the City of New Haven which requires residential parking permits for parking cars on streets and proof of residency. It is also advisable to buy and use firewood locally because moving firewood requires certification or documentation paperwork in the state. Most firewood is a regulated item and would require state compliance permits or agreements. You can print out online forms for updating your driver’s license but you cannot apply for it online. The DMV does not accept credit card payments. Standard driver’s licenses cost around $66 and vehicle registration is from $75 onwards. Local or intrastate moves in Tennessee are not monitored by the State. Moving companies must have a US DOT license to transport household goods. There are a few steps to become a new resident. You’ll need a driver license, voter registration, or proof of residency such as utility bills. 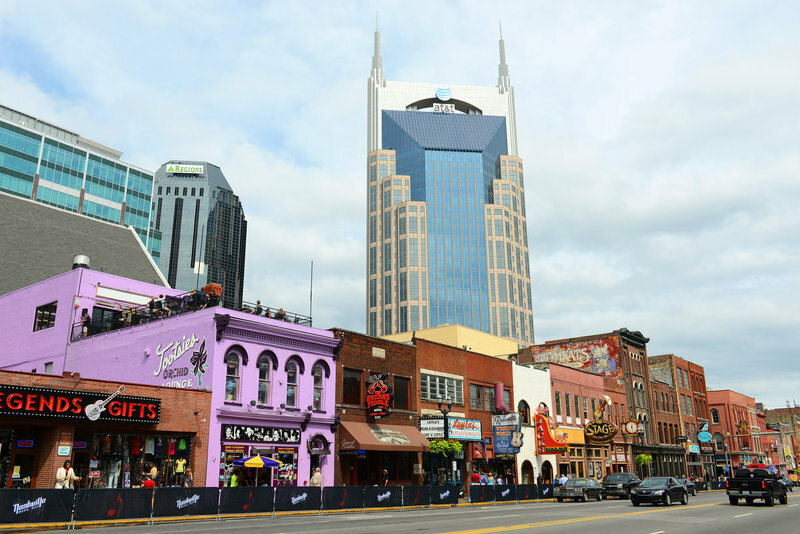 Tennessee laws require that new residents get a driver license and register a vehicle within 30 days of moving to the state. Like Connecticut, certain restrictions are in place for moving firewood in the state so ensure you have the appropriate clearance or documentation. Moving long distance anywhere in the United States or to Canada can be done safely and affordably by licensed long distance movers. 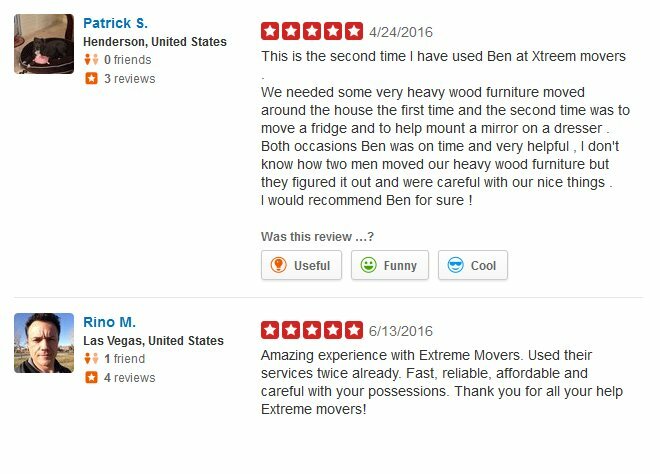 By this time, you already know what to look for in a mover and how to protect your move from unscrupulous movers. It is now time to take a look at some of the best cross-country or cross-border moving companies available for your relocation. Which companies are considered top-notch for intrastate, cross-country, or cross border moving? 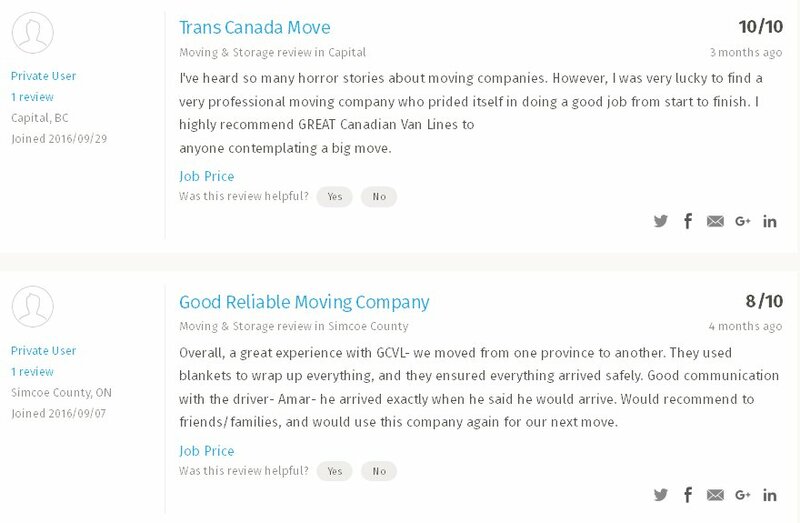 Below is a compilation of popular long distance movers in the USA and Canada and their rankings on different review sites. Check below for more details about each moving company, history and experience, and moving services. This moving company is based in Ft. Lauderdale, FL and was established in 2000. It is licensed by the Federal Maritime Commission and the Department of Transportation (DOT#2293832/ MC#796971). Today, it is one of the country’s most well-known relocation specialists and has been featured in the NY Times, Sentinel, and USA Today. It has more than 3000 global partners and performs an estimated 8000 moves annually. The company offers long distance and cross border moving services for the transport of household goods, vehicles, and commercial items. It also offers container shipping, residential moving, and commercial moving. As part of its moving solutions, the company offers moving boxes for packing, packing services, PODs, and storage. 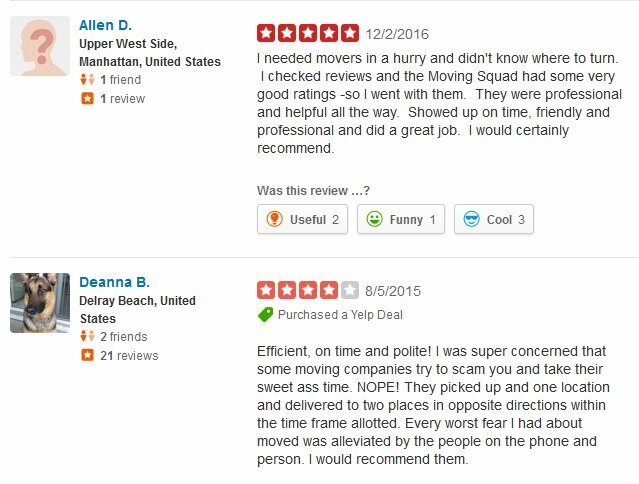 It is a highly rated moving company on Yelp, Google, and was named among the top 3 American moving companies by Consumer Affairs. This premiere moving company’s top service areas include Florida, North Carolina, Texas, and has weekly shuttles to major US cities to provide you with a timely relocation. Their swift and convenient moving services ensure a hassle-free moving experience for its customers. This company has extensive resources and can efficiently handle your long distance move anywhere you need to go. 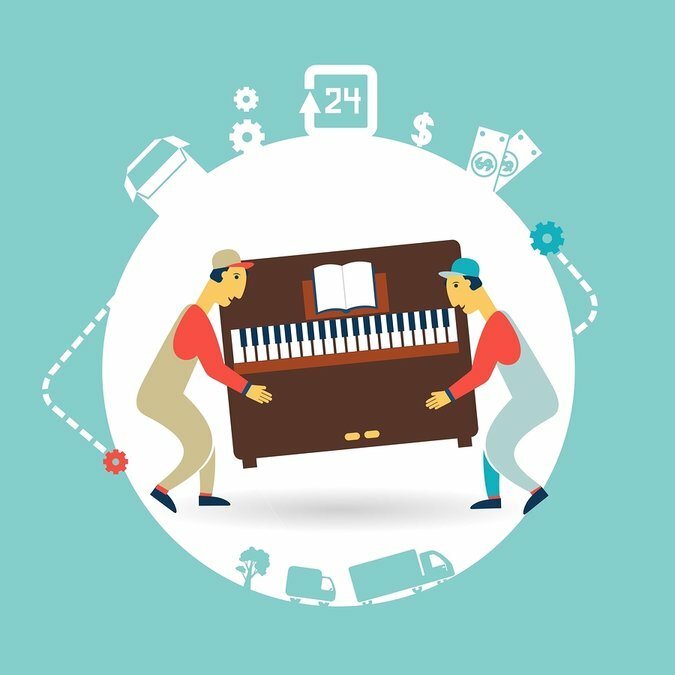 Some of the advantages of moving with this moving company includes fast delivery 7 days a week, specialty moving services for relocating fine art, piano, and antiques, and safe and individual wrapping of all your household goods. The company is a member of the American Moving and Storage Association. This moving company specializes in local and long distance moving in the Tri-State area. They offer full service moving which means they take care of the packing, loading, and transport to your new location. 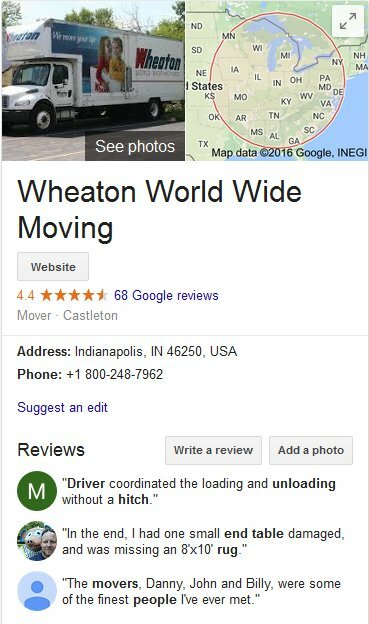 For moving coast to coast or anywhere in between, you can count on this moving company to relocate you anywhere in the continental USA. Whether it is just a piece of furniture or an entire home, they have the skills and equipment to make your long distance move stress-free. They also offer short or long term storage. As a nationwide mover, it is fully licensed and insured. This professional moving company has multiple locations across the United States and Canada. It operates on a franchise system that allows local franchisees to provide local and long distance moving services that aim to surpass customers’ expectations. Each location offers full-service moving services that include professional packing and unpacking, loading and unloading, clean moving trucks and uniformed movers, and everything needed to make your move as efficient as possible. They protect furniture with heavy storage blankets and shrink wrap all items. 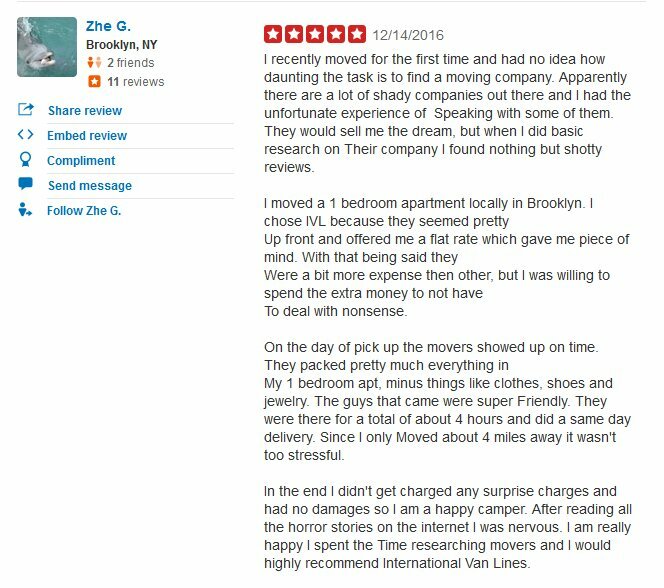 Their flat rates assure customers of transparent and honest pricing. Each location has clean, shiny trucks of different sizes to suit your move. All locations are fully licensed and insured. This moving company based in South Florida offers local and cross country moving services and storage. It is also one of the most well-known and trust nationwide mover in Florida. They also offer packing services and will customize your move to make it perfect for your needs and budget. They guarantee to send only licensed and insured movers to your residence or business. For more than a decade, the company has been delivering efficient and honest residential and corporate moves to customers. 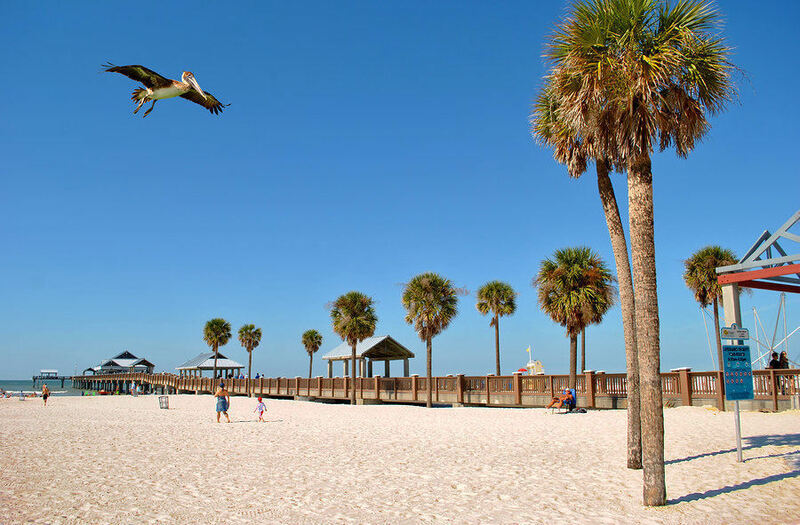 With their multiple locations and offices in the Sunshine State, they assure customers of same day service in most locations. 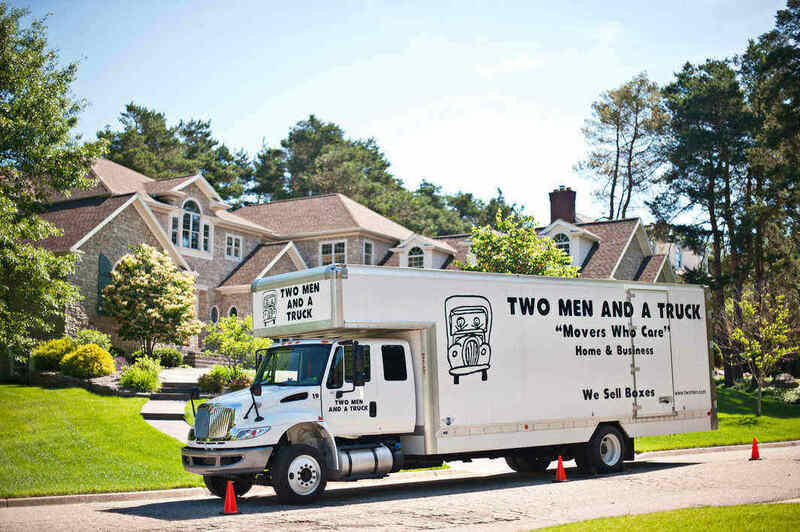 This moving company has been serving New York, Long Island, New Jersey, and Connecticut since 1945. As a family owned moving specialist, they will take care of your move whether it is across town or another state. They perform residential and commercial long distance moves and provide international moving services. 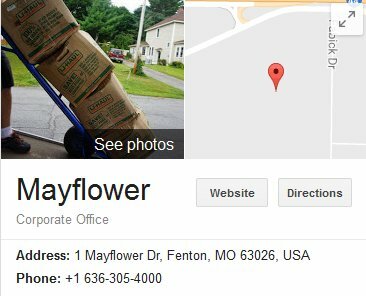 It is also a Mayflower moving agent and has an A+ rating with the Better Business Bureau. It is also a member of the American Moving and Storage Association. The company has 3 locations in New York and 1 in New Jersey which greatly facilitates the delivery of your goods in these areas. This is a popular moving and storage company that gives you 30 days to pack and load your moving container. It is a moving solution that lets you combine local and long distance transportation, storage, and transport in one easy step. Their containers come in different sizes and depending on the volume of your goods, you can choose the right-sized container to be delivered to your doorstep. Their 16’container has 924 cubic feet of packing space which can accommodate 3-4 rooms of furniture. It is comparable to a rental truck measuring 17’. If you need less space, they also have a 12’ container and a 7’ container. They can move your belongings directly to your new address or store them locally in your new city. The company has locations throughout the country. It provides service in 20,000 cities in 58 states, provinces and territories in the USA, Canada, and Australia. You will be charged only for the space you actually use which means a more affordable move. This top-rated moving company has been in business through 3 generations of family ownership and has grown from its humble beginnings. 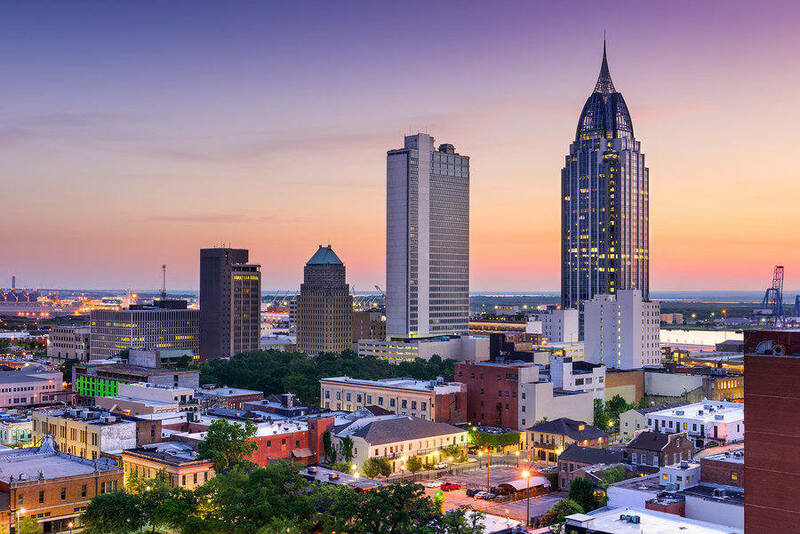 It has a vast network to carry out any type of move anywhere in the country, with locations in various states like Colorado, Mississippi, Georgia, Kentucky, California, Florida, Louisiana, and more. It is proud to be an agent of United Van Lines and offers local, long distance, and international moving services. It is an accredited member of the Better Business Bureau and the American Moving and Storage Association. This moving company has been in business for more than 30 years and has over 350 locations worldwide. It operates in 40 states and expects continued growth in the US, Canada, Ireland, and the UK. It has locations in almost every state and city in the country run by franchise owners. They provide a full range of residential moving services locally and across the country. They provide a Value Flex service for long distance moves which costs less than an average move but takes a longer wait period to receive your household goods. This limited long distance option is available in Atlanta, Orlando, Lansing, and Cincinnati. Regular priced long distance moves are available anytime and anywhere else. For expedited long distance moves, the same movers load your belongings and drive the truck to your final destination for a quicker process. If you want to know what items your movers can’t move, check out the video below for more information. 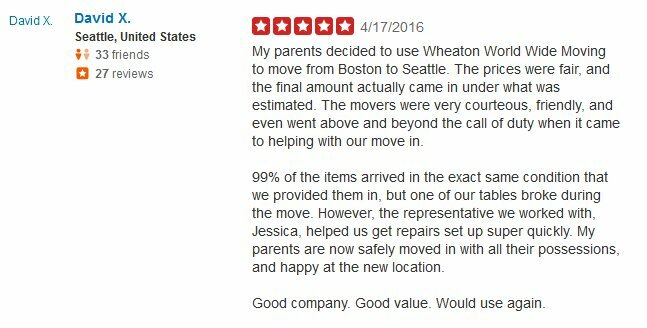 This moving company is based in West Warwick, Rhode Island. It is an industry leader in moving household goods for residential and commercial customers as well as storage services. It has more than 100 years of experience and is the only family-owned and operated moving and storage company in the USA that has more than a century of experience. It has 385 agent locations in the country for efficient moving solutions anywhere you need to move. It is a member of the American Moving and Storage Association and has an A+ rating from the Better Business Bureau. 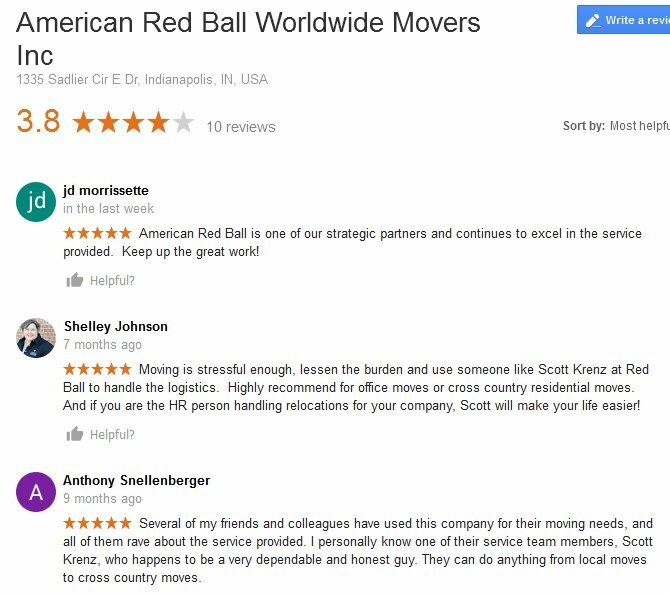 This is a globally known moving company based in Indianapolis, Indiana. Established in 1945, it has grown and evolved into a giant moving company with over 250 agent locations nationwide. It is capable of undertaking cross-country moves and international moves. This company is one of a few movers that strive to reduce their environmental footprint and go green. It is the 4th biggest van line in the USA and serves over 95% of the country. Its agents are committed to paying attention to all the details of your move. An experienced crew is dispatched to provide exceptional service to your family and ensure a hassle-free moving experience. Mayflower Transit has become synonymous with household moving. For more than 85 years, the company has helped families around the country to relocate. As a van line, it has hundreds of agent movers throughout the country for interstate and cross border moves. As a full service mover, they can provide packing services, loading and unloading, safe delivery, and storage of your household goods. It is one of the country’s most trusted movers and delivers moves with unsurpassed quality. They also provide competitive pricing from its innumerable agents across the nation. Get to know more about this moving company from the video below. 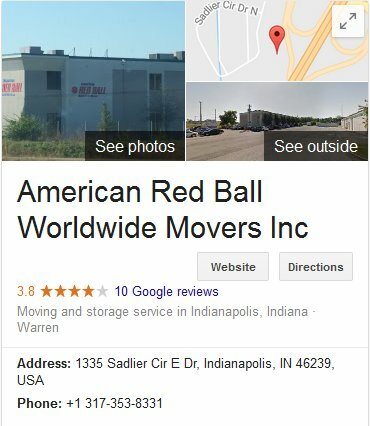 This moving and storage company in Indianapolis, Indiana has been a pioneer in the moving industry, having begun operations in 1919. It has flourished as a company for over 90 years and remains committed to great service to customers and practicing ethical business practices. It is affiliated with the American Moving and Storage Association as a ProMover. The company provides long distance moving for homeowners and businesses. They know that accidents do happen and are committed to making settlement of claims as hassle-free as your move. Their fleet of trucks is state of the art and designed to safely transport household goods. 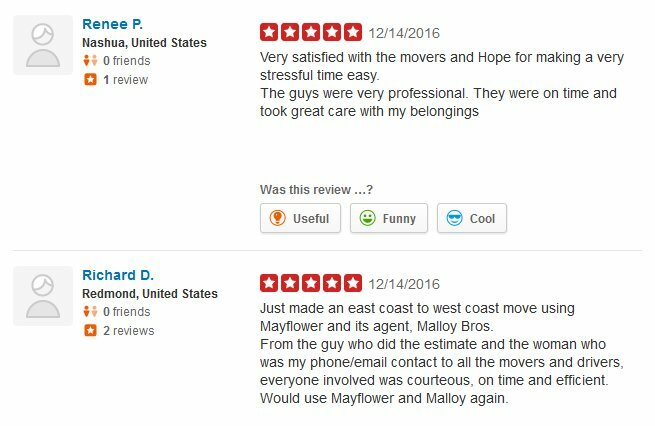 This national moving company has earned a lot of praise from customers and consistently ranks high in customer satisfaction surveys. It is a full-service long distance mover offering long distance and international moving, piano moving, packing and unpacking, commercial moving, and storage. It has 15 locations in the country including California, Florida, Illinois, Maryland, New Hampshire, New York, North Carolina, Pennsylvania, and more. With their experience spanning 4 decades, the company is highly skilled and extremely professional in delivering all types of relocation services. This moving company provides moving services throughout Canada and the USA. They service the lower mainland and moves to and from Calgary, Alberta, Toronto, and all major cities. With numerous locations across the country, they can easily handle moves like Vancouver to Seattle. One of the benefits of choosing this moving company is their convenient scheduling and direct routing to allow your household goods to arrive faster than with other carriers. They also have the lowest claims ration in the country, assuring customers that they handle items with utmost care. 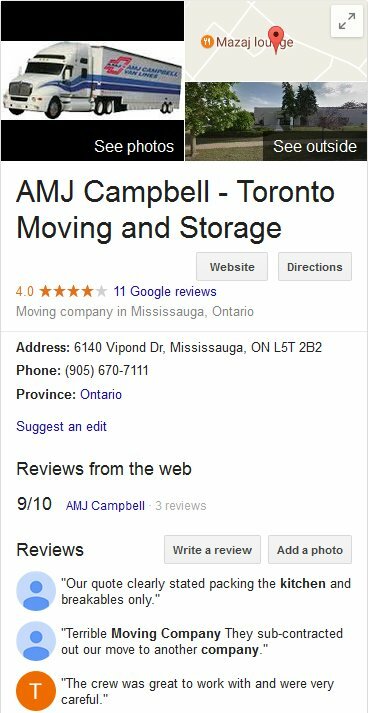 They proudly belong to the Canadian Association of Movers, the American Moving and Storage Association and has an A+ rating with the Better Business Bureau. 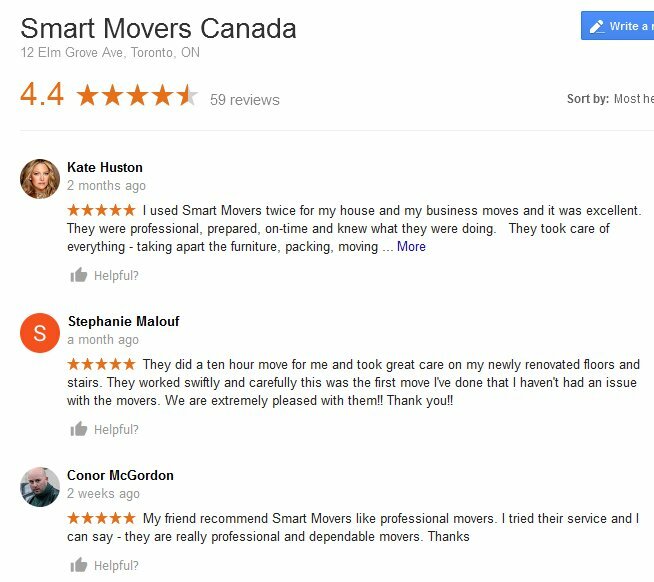 This is one of the leading removals services in Canada. They offer a wide array of moving services for apartments, condos, offices, warehouses, etc. They provide residential services, commercial moving, piano moving, long distance moving and storage. 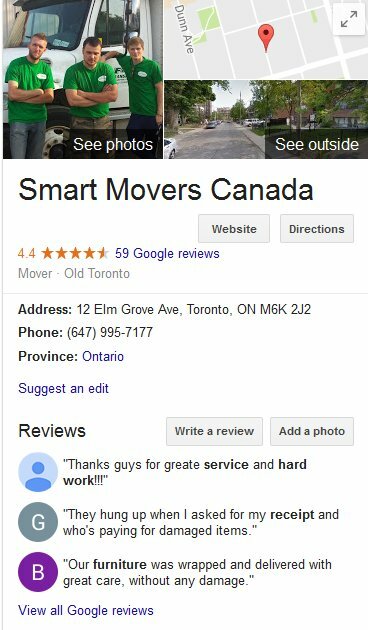 They specialize in moving services in the Greater Toronto Area. 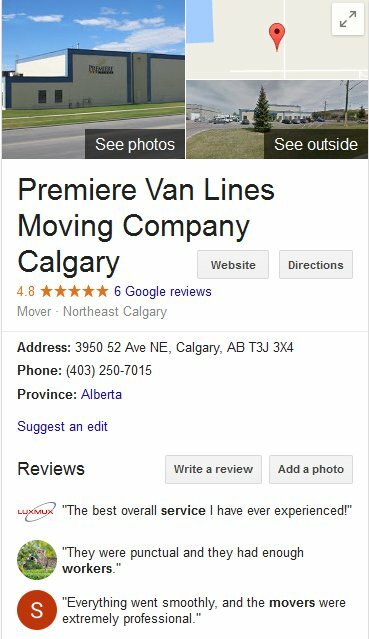 This moving company has over 35 years of service in the industry and is a recipient of the Regional Western Canada and National Quality service awards of Atlas Van Lines. The company provides long distance moving anywhere in Canada and from Canada to the USA. It also provides international moving services, professional packing and crating, and auto/motor vehicle relocations. It is accredited with the Better Business Bureau as an A+ rated company and with the International Association of Movers. 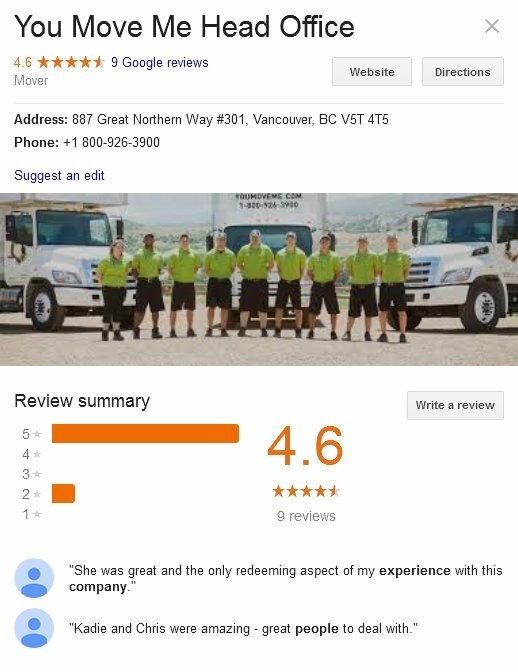 This moving company has become a national mover of choice due to quality services, ethical business practices, and a trustworthy reputation for more than 53 years in Canada. It has more than 150 full service national moving agents in every territory and province across Canada. 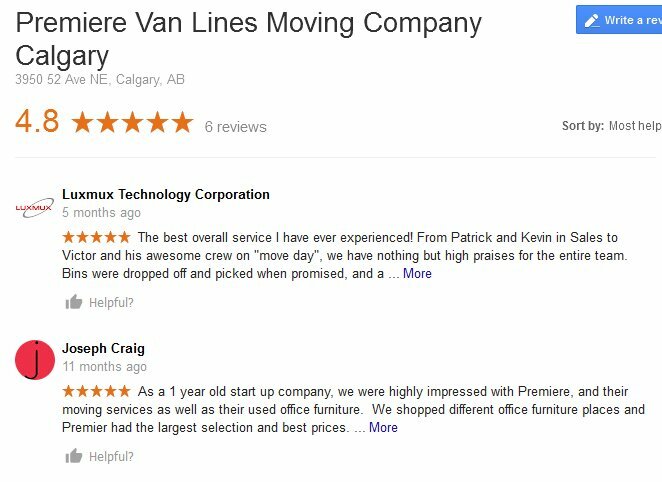 The company offers long distance moving across Canada, and Canada to USA moving and vice-versa. In fact, it can deliver your household goods to any destination in the globe. Atlas Canada is the first van line in the country to conduct a comprehensive background check program to ensure customers’ safety and peace of mind during relocation. This moving company has provided reliable relocation services to clients since 1934. With a strong emphasis on customers’ needs, they strive to stand out from competitors by delivering a truly satisfactory relocation at all times. They specialize in residential and commercial relocation throughout Canada, and to the USA and abroad. It is located in Markham, Ontario and has partnered with Atlas Van Lines, providing it with a large network of resources to undertake any kind of relocation. It is a member of the Canadian Association of Movers. 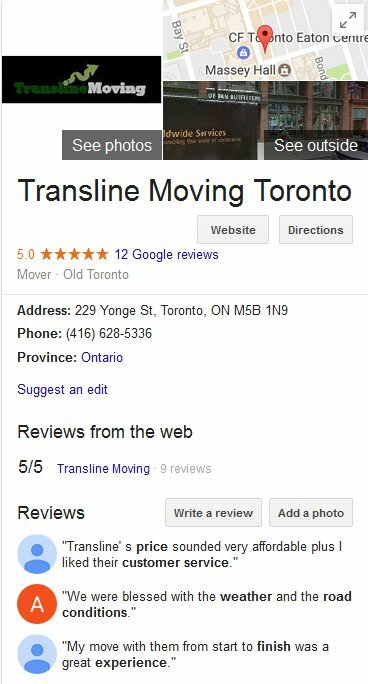 This is a very reliable long distance mover based in Toronto, Ontario. It has earned the trust and respect of customers over 10 years of operations. It specializes in long distance moving services and strong believes in professionalism and quality customer service. The company offers flexible scheduling, even on weekends and evenings. They provide fully trained and insured movers and a wide array of efficient moving services designed to deliver a stress-free moving experience. The company has multiple locations in the Greater Toronto Area but can execute any long distance move across Canada. SHOULD MY MOVER BE AFFILIATED WITH MOVING ASSOCIATIONS? Moving companies are not required by law to accredit themselves with a professional organization or even the Better Business Bureau. However, majority of reputable moving companies accredit themselves with national and local moving associations. Membership assures customers that the moving company is licensed and in good standing in the industry. 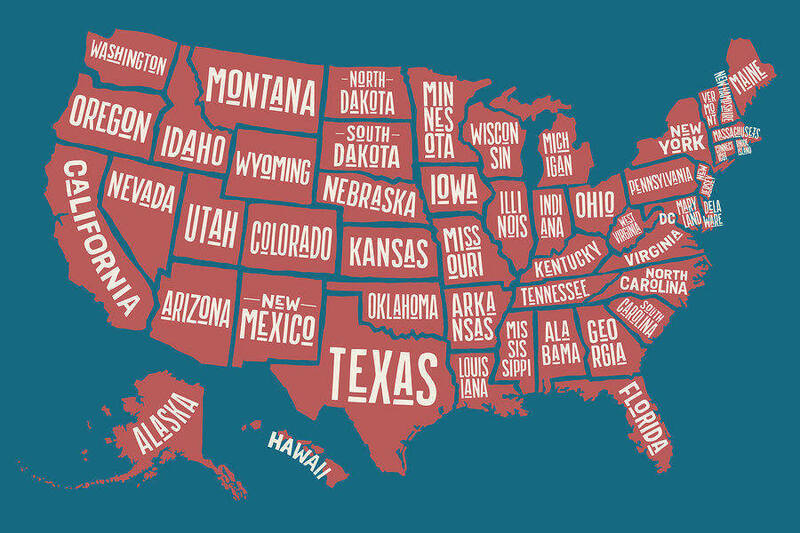 Every state in the US has at least one association for licensed movers in that state. For instance, in Florida, it is the Florida Movers and Warehousemen’s Association (FMWA). You can easily check if the company is a legitimate member of the association. 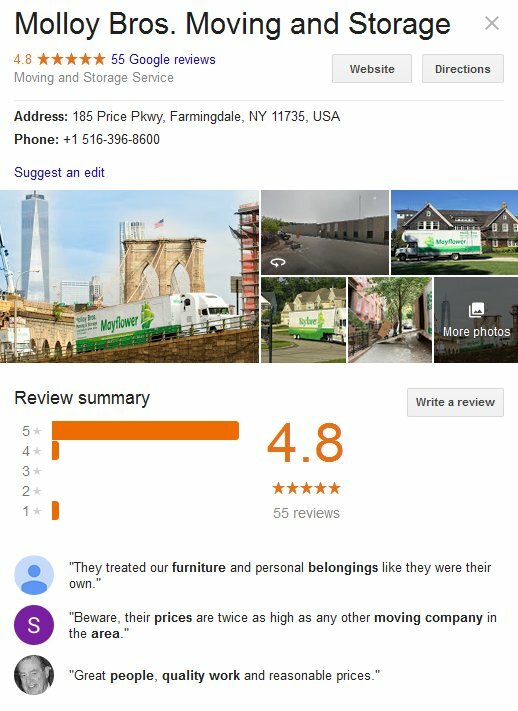 The Better Business Bureau is also a good place to verify the legitimacy and reputation of any moving company. The agency provides consumers with a rating (A+, A, B, D, etc.) to guide consumers in their choice. ✓ American Moving and Storage Association (AMSA) – represents more than 3000 moving companies in the United States. ✓ International Association of Movers (IAM) – a global organization of over 2000 moving companies in countries around the world. These moving companies provide global relocation services. ✓ Canadian Association of Movers – represents movers and relocation companies, international movers, and van lines in Canada and abroad. Members include movers and relocation companies, van lines, international movers both in Canada and overseas, suppliers to the industry, businesses that provide moving-related services such as packing services and trade associations in other countries. ✓ Federation of European Moving Associations (FEDEMAC) – based in Germany and represents over 3000 professional movers from 26 European countries. ✓ FIDI – alliance of independent removal companies specializing in international relocation services. What do these moving associations do to protect consumers from unlawful and unethical practices? An individual in the USA that has a complaint against any moving company that is a member of AMSA or a state moving association can request assistance. Members who violate guidelines or code of conduct could be removed and lose credibility. Associations also provide arbitration or assist in settling disputes between moving companies and their customers. It’s not difficult to find good long distance movers no matter where you are located and where you need to go. There are many types of movers who can help with your move, starting from full-service movers, independent movers, major van lines, and moving labor providers. 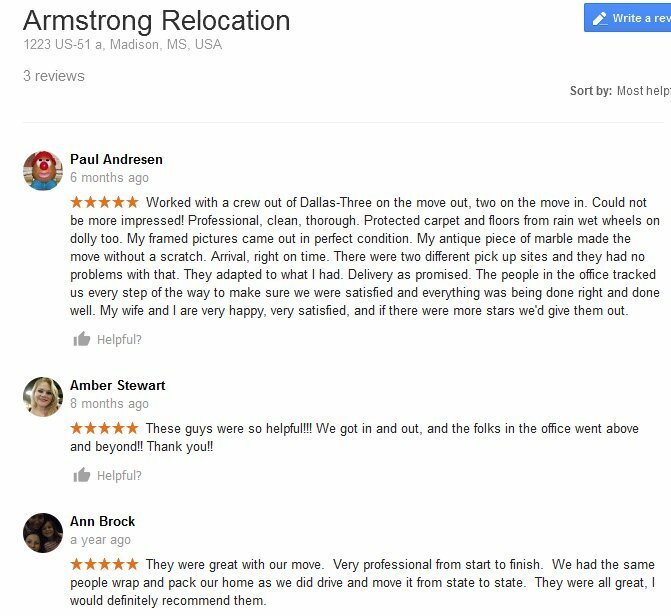 The list above shows some of the most reputable full-service movers that have helped thousands of families like yours to relocate to new destinations. Obtain multiple online quotes to compare costs from a reputable network like 5moversquotes. 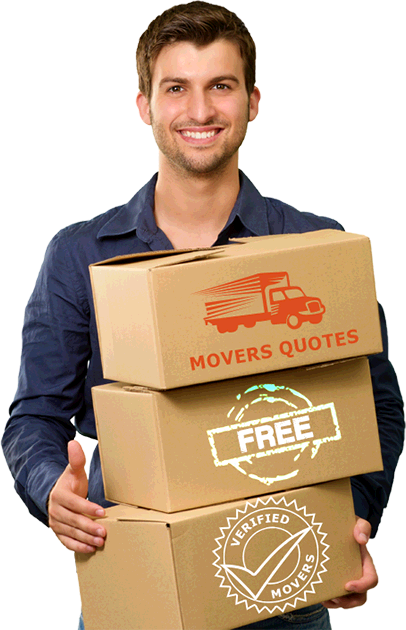 These moving quotes are free and no obligation; you enjoy convenience and reliable service for connecting with licensed and experienced movers. We invite you to fill out our short online form with your exact moving details so that our partner moving companies can send you accurate estimates for your move. We hope we have helped you to find the most cost-effective and stress-free moving solution and that your long distance move is a most pleasant one.